(MISSISSAUGA) — Subaru Canada, Inc. (SCI) is pleased to announce that the 2018 WRX will be available in Subaru dealerships across Canada starting in June. For 2018, Subaru’s performance sedan for the true enthusiast has received a major refresh, with updated looks, improved usability both inside and outside, upgraded safety features and enhanced drivability. Powered by a 268-horsepower 2.0-litre direct-injection turbocharged SUBARU BOXER engine, the 2018 WRX can be equipped with either a six speed manual transmission or a sport-tuned Sport Lineartronic automatic transmission that offers smooth shifting with six and eight speed manual shift mode with sharp shifting response, while Subaru Intelligent Drive (SI-DRIVE), available on CVT models, lets drivers feel the WRX’s impressive power and performance. Equipped with the Subaru symmetrical full-time All-Wheel Drive systems built around the SUBARU BOXER engine, the WRX remains the symbol of Subaru AWD sport performance. 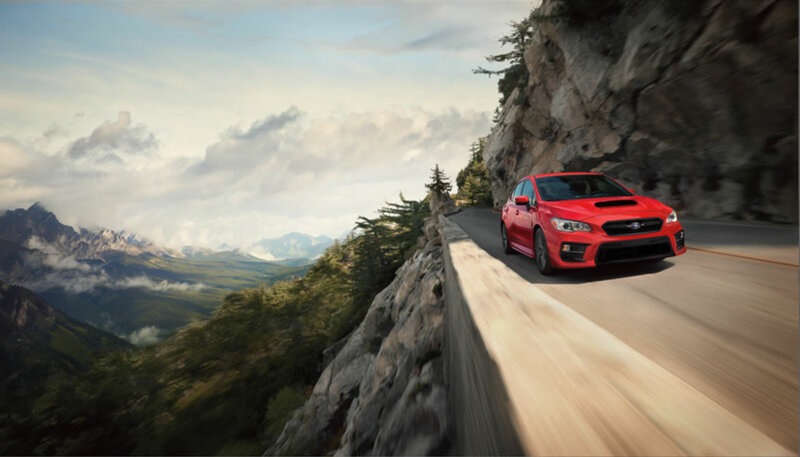 The Subaru WRX employs an Active Torque Vectoring system that supplements the AWD system for improved cornering and more precise handling. Multi-mode Vehicle Dynamics Control provides a precise and enjoyable driving experience. Subaru’s performance sedan for the true enthusiast offers refined styling yet still delivers a powerful message. With the starting price of $29,995 carried over for 2018MY it also remains the best value in the sports performance segment. The 2018 Subaru WRX is offered in three trim levels, being the WRX, WRX Sport and WRX Sport-tech. For the 2018 model year, all WRX models have received several driving improvements, including an improved steering feel, revised suspension tuning and better noise reduction throughout the cabin. The new WRX comes with a larger capacity battery, revised front bumper, revised door trim, an updated front grille, a revised fog light bezel, more passenger side body strength and a new roof bracket. On the inside, all trims include an updated instrument panel and centre console trims, a new fold-down centre rear armrest with cup holders, a revised gauge cluster, and a new 5.9-inch high-resolution colour multi-function display with new menu screens. Models equipped with the six-speed manual transmission come with a revised shift lever while the transmission and clutch feel have both been improved. CVT-equipped models have received improvements to the gear selector operation. The WRX Sport trim now features a 10-way power driver’s seat, LED fog lights, wiper-integrated automatic headlights and new steering-responsive LED headlights that improve cornering visibility by turning the direction of the lights to match the vehicle’s direction. The WRX Sport-tech trim comes with newly-designed split-spoke 18-inch wheels, new StarLink apps such as Yelp, Best Parking, and Glympse. Manual transmission models can be upgraded with the optional RS Package that features 8-way power leather and Ultrasuede Recaro front seats, Ultrasuede seating material on the rear seats, Jurid brake pads and red-painted calipers. CVT-equipped models can be equipped with the optional EyeSight Package that also includes an electronic parking brake. For the first time ever in Canada, the 2018 WRX can be equipped with the optional EyeSight Package. Available on the WRX Sport-tech CVT trim only, the award-winning EyeSight driver assist system includes an entire suite of preventative safety features that simply add to the already impressive list of active and passive safety functionality delivered by a Subaru. The Eyesight Package includes pre-collision braking, pre-collision brake assist, pre-collision throttle management, adaptive cruise control, lane departure warning, lane sway warning, lead vehicle start alert and lane keep assist. This optional package also comes with High Beam Assist that automatically dims the high beams when another vehicle approaches, Reverse Automatic Braking that can prevent or mitigate collisions when driving in reverse, Auto Vehicle Hold and the EyeSight Assist Monitor. For an exciting drive that is still safe in all scenarios, the combination of Subaru symmetrical full-time All-Wheel Drive, a light body, chassis rigidity and performance, oversized brakes with high-performance ABS, the highly advanced multi-mode Vehicle Dynamics Control system and active torque vectoring work together to give the WRX the best hazard avoidance in its class. Featuring exceptionally rigid construction, the 2018 WRX uses Subaru’s proven ring-shaped reinforcement frame that has been shown to excel in the small overlap test by the Insurance Institute for Highway Safety. The Subaru WRX also features a full complement of supplemental restraints, including dual-stage deployment front airbags, front seat-mounted side-impact airbags, a driver’s knee airbag, and side-curtain airbags for front and rear outboard occupants.